Angelo Martelli is a Ph.D. Candidate in Political Economy in the European Institute at LSE, where he also works as Research Assistant and Graduate Teaching Assistant in the Economics Department. Before joining the LSE he pursued graduate studies at Pompeu Fabra University (MSc and Master of Advanced Studies in Economics) and completed a Bachelor’s degree in International Economics and Management at Bocconi University. His research is in applied labour economics, in particular his PhD work examines the evolution of employment structures in Europe over the last three decades, looking in particular at the role of labour market institutions and reforms on job and wage polarization. 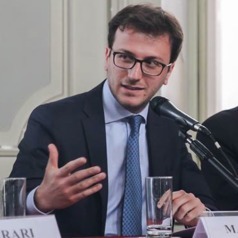 At the LSE he is the President of the Italian Society and since 2009 has served in the Advisory Board of the MILMUN Association in Milan. Angelo has published articles in major newspapers such as The Wall Street Journal, wrote for influential blogs and was interviewed and quoted in media outlets such as The Guardian, Handelsblatt Global Edition, The Times Higher Education, La Repubblica, RAI.